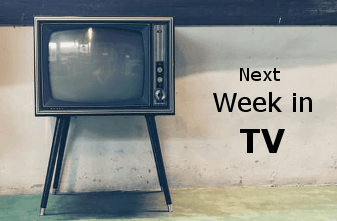 Next Week in TV 6/24: The Expanse, Westworld Finales and the Return of Preacher! Holy macaroni TV fans! The most awesomeness, the most amazing show on television is back to entertain us all for a third season; Preacher returns tonight on AMC at 10:00pm ET! But until that stupendous show hits your TV, we recommend reading Mlgagne’s recent character study article in which she dissects the one and only Cassidy (played by Joe Gilgun) in this outstanding piece of work. So please Preacher fans, click here to see her article and support good work as well. If that wasn’t enough, HBO’s Westworld is wrapping up its second season with a ninety-minute season finale tonight at 9:00pm ET. Just remember, if you are going to create some androids for your theme park, please make sure they don’t try to kill everyone, okay? Oh, season three has been officially greenlit by HBO. On Monday at 9:00pm ET, Salvation is back for a second season on CBS; however, on Wednesday, The Expanse will exit the Solar System at 9:00pm ET on the spaceship named Syfy. Yet while this third (two-hour) season finale wraps up the current season, this spectacular show will be back to colonize the ‘Amazon colony’ this time, so look for season four to air on Amazon Prime. Also look out for Miclpea’s forthcoming review article detailing what he thought about the show’s third season finale this week on the blog. Sadly, in the TV news arena, there is one piece of bad news that will affect time itself…Timeless was cancelled (again!) by NBC. However, there might be chance for a movie finale if NBC and Sony Pictures TV can agree on a ‘good’ deal, or if another company (magically) pops up to save the series since the show’s producers are looking for a new home. But for now, we have to wait and see if this wonderful series can continue. Netflix will continue its onslaught on the world of television with more content drops, so don’t forget to check out the listing below to see which series/film will be airing for this week. You never know, you may find a gem or two. And that is it for now! A crazy week in television is about to hit us hard like an asteroid hitting a planet, so hopefully you are ready for the aftermath. As always, please visit the FoCC forum by clicking here to keep the TV chat going. Until next time, have a great and wonderful week! On-going: Westworld, The Expanse, Cloak & Dagger, Big Hero 6: The Series, Supergirl, and Dragon Ball Super. A student’s protest leads to a government scandal that has personal and professional repercussions for one of Australia’s toughest journalists. Click HERE for more information. Harvey Street Kids is an upcoming American animated comedy television series that is being produced by Brendan Hay and Aliki Theofilopoulos Grafft for DreamWorks Animation, and is based on comic book characters from Harvey Comics. Click HERE for more information. Leila finds a secret paradise hidden on the edge of a virtual reality game, where she meets Tess. When Tess turns up in Leila’s real life uninvited, Lela’s world is forever changed. Click HERE for more information. In this history-steeped reality series, 14 contestants undergo the same rigorous four-day selection process as England’s top-secret World War II spies. Click HERE for more information. The shocking true story of the first British politician to stand trial for conspiracy to murder. Jeremy Thorpe (Hugh Grant), the leader of the Liberal party, has a secret he’s desperate to hide. His ex-lover Norman Scott (Ben Whishaw) is putting Thorpe’s brilliant political career at risk so Thorpe schemes and deceives until he realizes there’s only one way to silence Scott for good. Click HERE for more information.